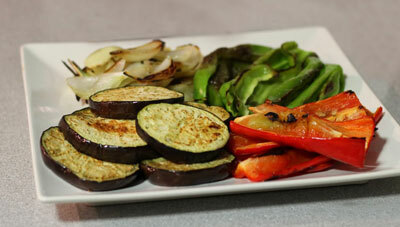 Today we present a super easy and healthy recipe, it is a plate of grilled vegetables accompanied by our organic romesco sauce. No need to explain a lot of things, just make grilled vegetables, baked or pan and accompany them with organic romesco sauce. 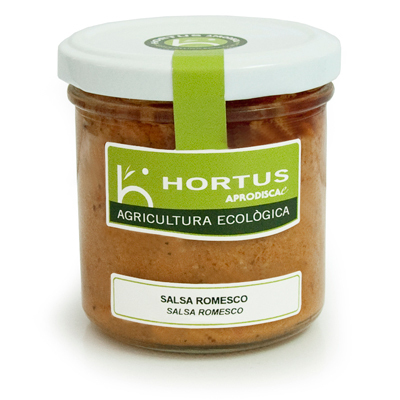 Where can you find our romesco sauce? 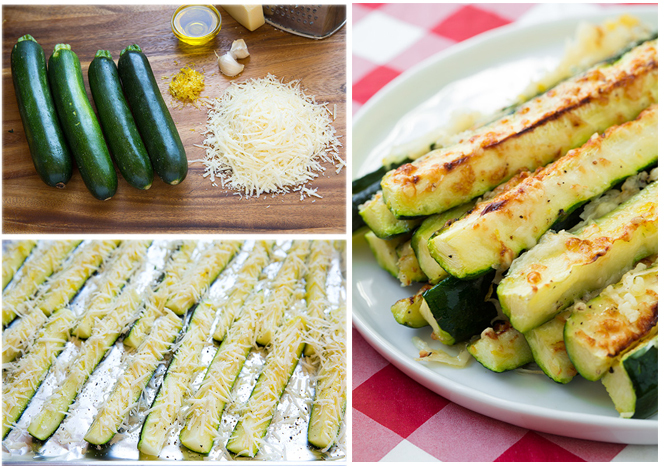 If you like zucchini … we propose an easy and healthy way to cook. What you can accompany our organic romesco sauce. Preheat oven to 350 degrees. Line a rimmed cookie sheet with aluminum foil. Cut zucchini into thick wedges or halves (cut each zucchini in half then that half in half, so you have 4 wedges from each zucchini. Next time I might try to do just halves so the parmesan bakes more evenly, plus it would be easier to add the parmesan). In a small bowl, stir together olive oil, lemon zest and garlic. Align zucchini on prepared baking sheet spacing them evenly apart. Brush olive oil mixture over tops of zucchini (working to get some of the garlic/lemon zest on each piece and not just in one spot. It clumps together a little so just spread it out). Sprinkle tops with parmesan cheese (try to get as much of it on the tops as possible, you can pick up what was sprinkled off to the sides of the zucchini and add it to the tops) and season lightly with salt and pepper. Bake in preheated oven 11 – 13 minutes then, adjust oven rack near top of oven and broil for several minutes until parmesan is golden brown. Serve hot and can accompany with an organic romesco sauce. 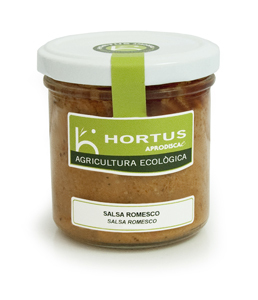 We present an easy and tasty dish for those who like nothing better than to accompany it with our organic romesco sauce. Cook the pasta according to our custom. While you finish cooking the pasta in water with a little salt, peel the prawns and we passed the hot iron and with a little touch of extra virgin olive oil. We left a few heads on the plate for garnish dishes. We drain the pasta and serve on plates. We ended up grilling the prawns. On the freshly cooked pasta put a generous amount of organic romesco sauce. About the sauce put a few shrimp and a head to decorate. 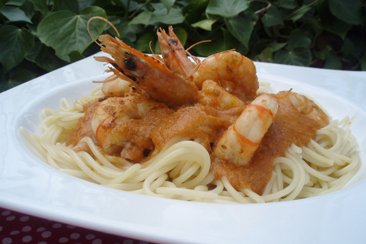 We present an easy recipe and I find it very flavorful with our organic romesco sauce. You put in a pot to fry the sweet paprika with a little oil for a few seconds. Immediately you put the fish stock. 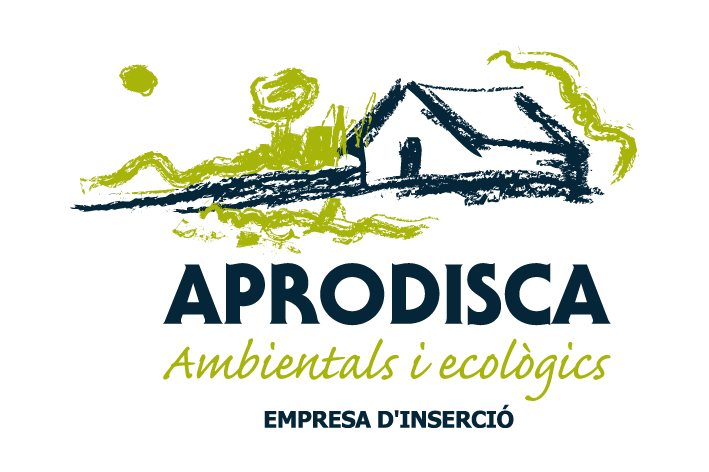 Once start to boil reservadlo apart. In a skillet put the rice to fry, slowly and with a splash of oil, whole garlic cloves, unpeeled. When ye blond, are removed. Then, in the same oil you put the noodles and stir because you idlos evenly browned. A blond turn coladlos oil in a colander. 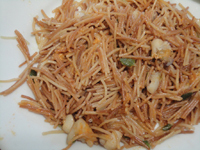 Recovered oil and fry noodles make a sauce with onion, pepper and chopped small squid. When the sauce is browned, you add the noodles and toss the hot fish broth. The fire boil 5 minutes and then put another 7 minutes in the oven, because the noodles remain very rights. Served with a little organic romesco sauce. 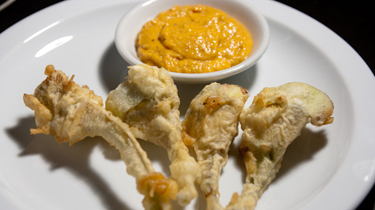 We present a dish and very easy to prepare artichokes that accompanied our organic romesco sauce you will be very good. Peel a little trunk until the white area exit , take the first leaves , the hardest and then divide it into 4 parts. To prepare the tempura batter is follow the instructions on the package , in the proportion of flour and water to mark. Cold water, that if , and stir slowly and not excessively. Then spend the artichokes with the tempura in the boiling oil. Once cool , we remove and put on absorbent kitchen paper. And we are ready to present the dish with organic romesco sauce.